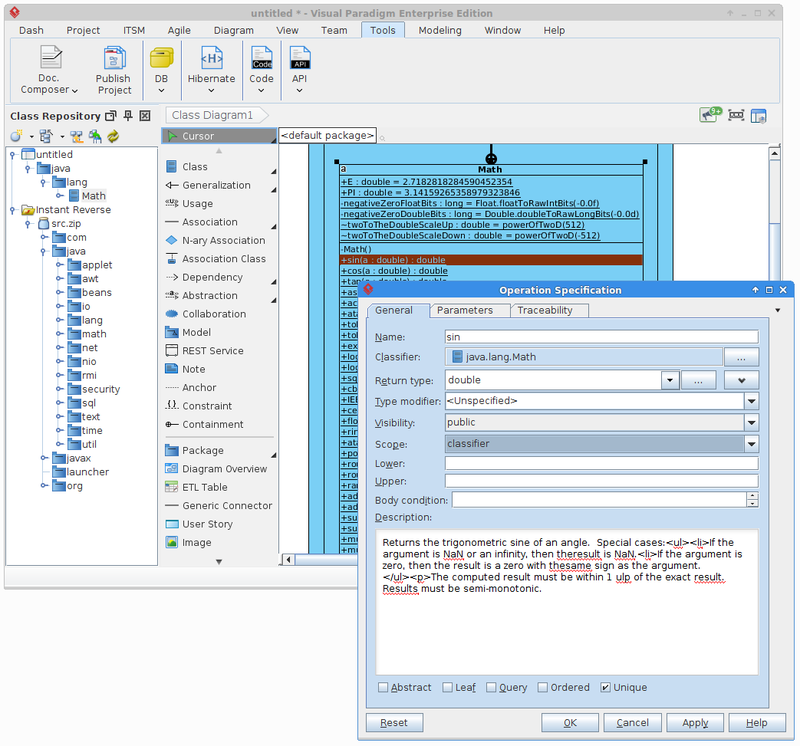 Is it possible to represent a class in a sequence diagram. It is possible, below are the steps. First, define your Class with classifier Operation. 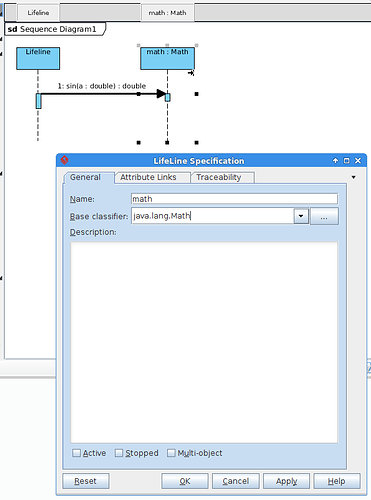 Then, draw a LifeLine and select that Class as base classifier. 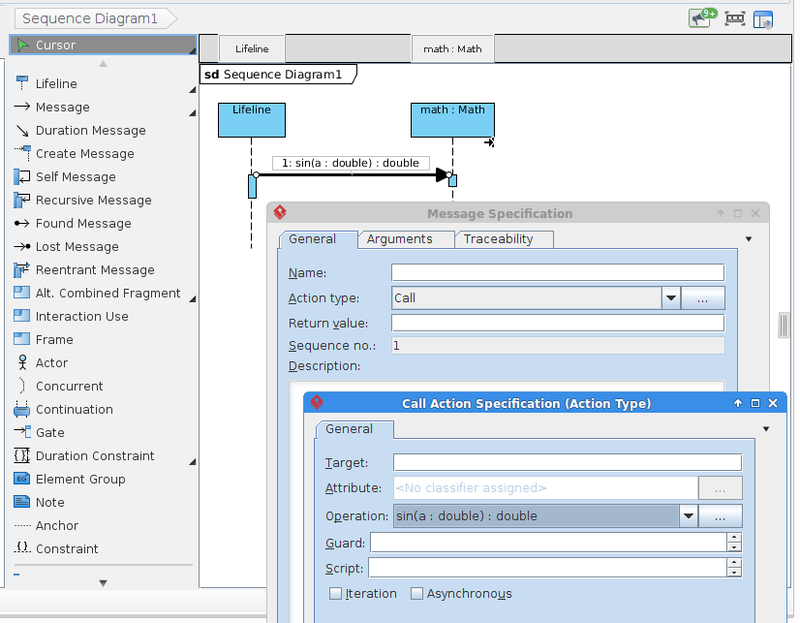 As a result, you can using call Message to modelling the call.